The speedometer indicates the vehicle speed. The odometer 2 and the twin trip odometer 1 are displayed when the ignition switch is placed in the ON position. 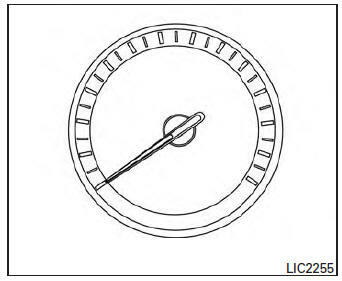 wheel for more than 1 second to reset the currently displayed trip odometer to zero. Push the reset button A for more than 1 second to reset the LOOSE FUEL CAP warning message B after the fuel cap has been tightened. 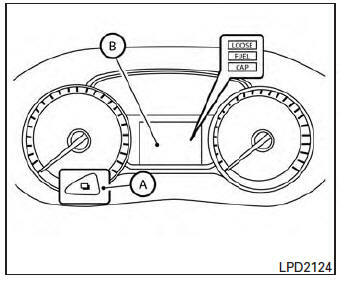 For additional information see “Fuel-filler cap” in the “Pre-driving checks and adjustments” section of this manual. The CHECK TIRE PRES warning message is displayed when the low tire pressure warning light is illuminated and low tire pressure is detected. Check and adjust the tire pressure to the recommended COLD tire pressure shown on the Tire and Loading Information label. The CHECK TIRE PRES warning message turns off when the low tire pressure warning light turns off. The low tire pressure warning light remains illuminated until the tires are inflated to the recommended COLD tire pressure. 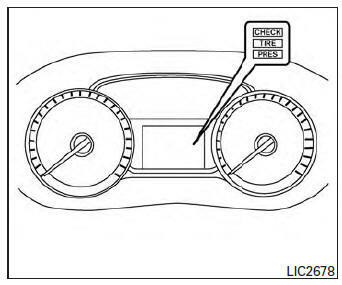 The CHECK TIRE PRES warning message is displayed each time the ignition switch is placed in the ON position as long as the low tire pressure warning light remains illuminated. 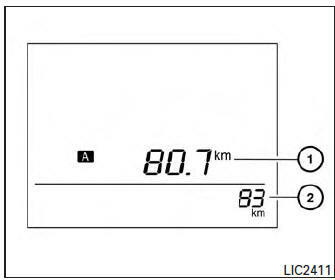 For more information see “Low tire pressure warning light” in the “Instruments and controls” section, “Tire Pressure Monitoring System (TPMS)” in the “Starting and driving” and “Wheels and tires” section in the “Maintenance and do-it-yourself” section of this Owner’s Manual.